For those who know, Romeo is a GOD in the progressive metal scene. For those who don’t know of him do yourself a big favor and pick this up, you will not be disappointed. Musicianship at its absolute finest with song writing that tops all previous efforts, solo or w/ Symphony X. His choice of vocalist is perfectly matched with the material and it’s pure metal with the melodic feel that only Mike can bring to the genre. 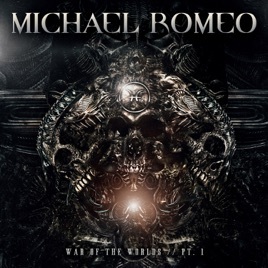 I’m a big fan of Romeo’s primary work with Symphony x and was not disappointed with this album. Crisp production, ton of variety within the music, excellent riffs, solos, and vocals. A must buy for any metalhead.